Soy milk is in fact very wholesome to your body as it is made of soybeans. We all know that soybeans are very nutritious and contains high protein level enough for us to kick start our day. Normally, people who are lactose intolerant would choose soy milk as their second option. Furthermore, people do not just drink it for breakfast, they drink it anytime they want for its tasty goodness! Soy reduces the cholesterol levels in our human body with the help of the amino acid and is flavones content in the soy protein. On top of that, it improves the plasma lipid levels in order to minimize the chances of getting cardiovascular diseases. Our human body is in charged of taking care the blood flow through vascular activity which amend the build of blood vessels whenever it is required. The soy milk plays a big part in enhancing this reactivity to maintain a strong heart. Soya milk is originally lower in sugar content compared to milk. According to research, cow’s milk has about 12 grams of sugar per cup however soya milk has only 7 grams of sugar. Futhermore, the monounsaturated fatty acid in soy milk can constrain your intestinal absorption of fat. Soya milk also gives you an extra dose of fiber, keeping your feeling fuller for longer time. The fact that soya milk is high in calcium and low in fats, it is a very suitable option for patient’s diabetic meal plan. It helps diabetics by reducing cholesterol and preventing cardiovascular issues. Its effect on lipid levels is beneficial in the treatment of diabetes. A diet that includes soy products might lower the development of acne. Soy is one of the ingredients used for treating skin issues such as hyperpigmentation, which causes excessive darkening of the skin. 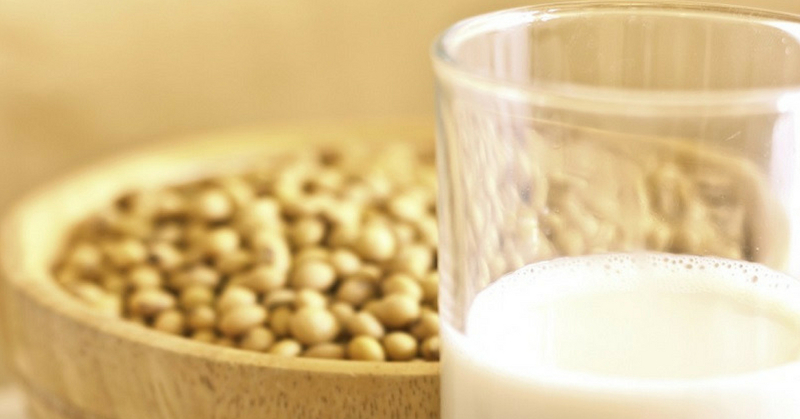 Soy products can have anti-aging benefits on your health and skin as well. Do you agree with the benefits listed above? Don’t forget to share your views in the comment box below.